Heading Down Wacker Oil on canvas 80 in. x 140 in. 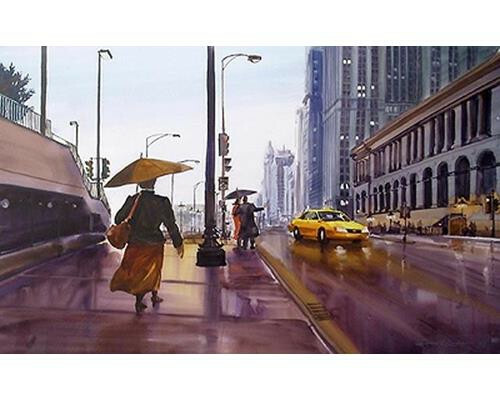 Art Institute Rain Day Watercolor 28 in. x 40 in. Lake Street Heading East Watercolor 22 in. x 28 in. 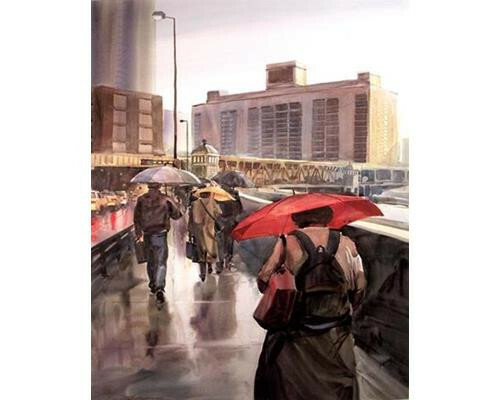 Merchandise Mart Crossing Watercolor 28 in. x 36 in. 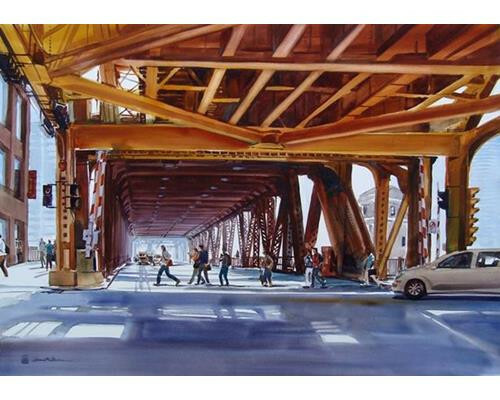 Michigan Avenue Bridge Tending Watercolor 36 in. x 28 in. 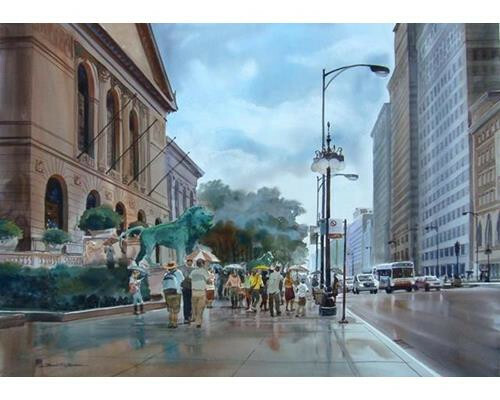 Michigan Avenue Hail Watercolor 22 in. x 28 in. Red Umbrella On Wacker Watercolor 23 in. x 28 in. 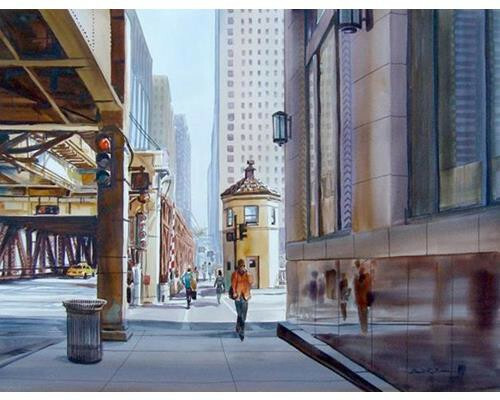 Under Lake Street Watercolor 27 in. x 39 in. Boats Watercolor 24 in. x 36 in. Watertower Watercolor 28 in. x 40 in. Harbor Watercolor 24 in. x 50 in. David R. Becker, works as a fine artist, illustrator and art instructor. 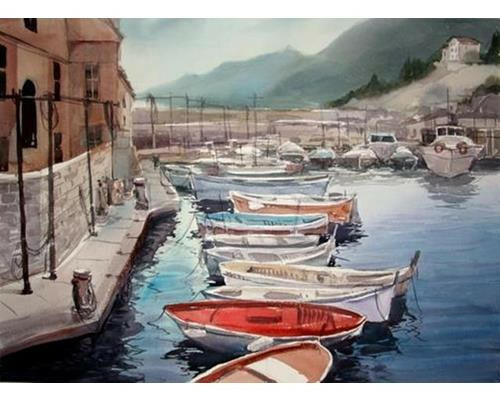 He is the author of Watercolor Composition Made Easy, and How to Sketch with Watercolor. Becker has had two different articles published in International Artist Magazine and in Watercolor Magic. 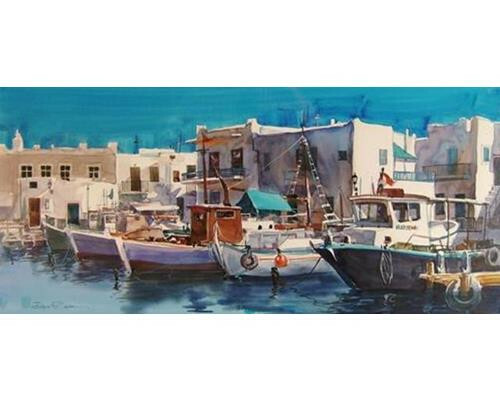 He is a signature member of the Transparent Watercolor Society of America, and has won numerous awards for his work from watercolor societies around the country. Since 1961, he has spent all of his artistic life and career in this fine city. Becker learned his art skills at American Academy of Art in Chicago, and is the reason that a large majority of his subject matter comes from his life here in the city that he loves so much. After his time at The American Academy of Art in Chicago, Becker went right into illustrating for the major advertising agency J. Walter Thompson and later for Foote Cone and Belding. He also started teaching around the country, right out of school, but always found time for his favorite ambition, creating fine art paintings. A native of Chicago, Becker is now focusing on his full-time fine art career. Becker has many original paintings hanging in the Starbucks coffee chains around Chicago and suburbs. 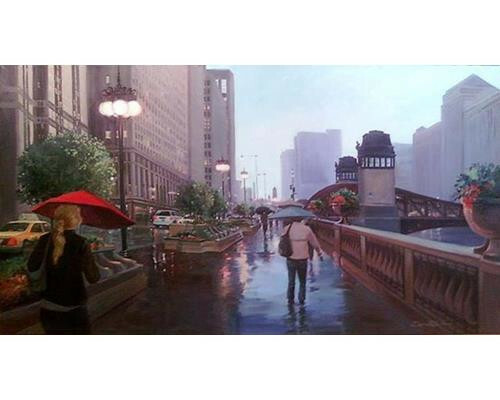 His most popular painting hangs in the Starbucks that is inside the State Street Macy’s. David has had a news segment done on him painting on the Metra train by CLTV. Becker has published 2 books with the North Light Art Books Publisher, and has had 2 articles published in the prestigious art magazine International Artist, and had articles in American Artist and Watercolor Magic magazine. 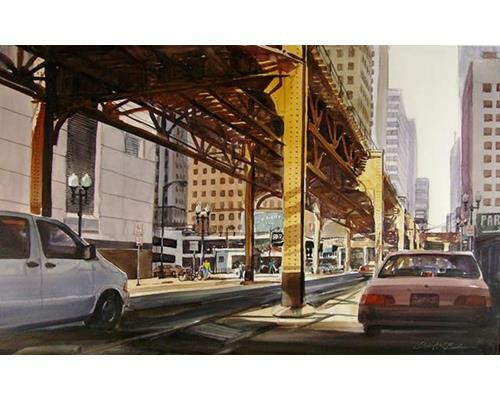 Becker’s works in many mediums, including Watercolor, Oils and Acrylics, he is mostly recognized for his watercolor scenes of Chicago. You can find may of his works hanging in homes and businesses throughout this fine city and most prominently in many Starbucks coffee shops in the city and suburbs. 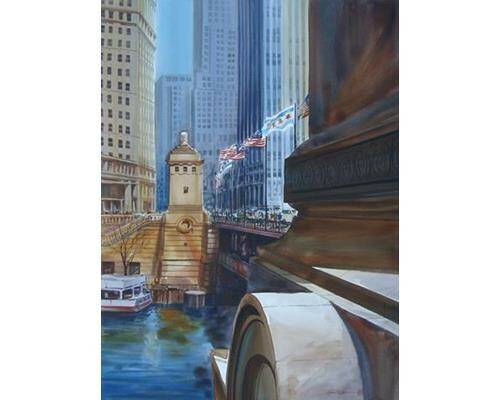 Most recently he had sold an 11 foot oil painting of Wacker Drive and at the same time was commissioned to do a large painting of the Buckingham Fountain for the CNA building. David’s favorite painting was commissioned by Starbucks to do a scene for their Macy’s Starbucks store that was to included a scene looking out of that stores window, unto Wabash, that included the “L” platform. 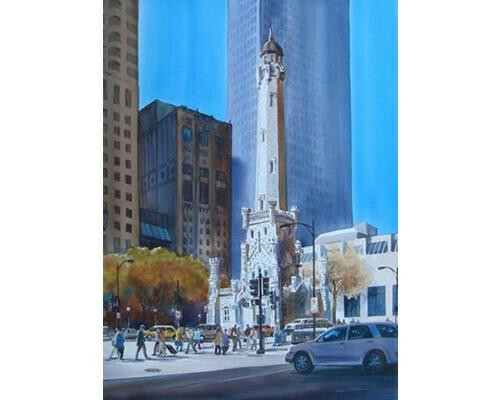 This painting can be seen at the Northeast corner of the Macy’s Starbucks store on Randolph and Wabash, and at the same time have a great cup of coffee while viewing this Becker original.